We’ve worked, shopped, kept bees and festivalled with Andrew Pimbley and family at Claremont Farm for many years now so we understand the way the business has diversified, farming heritage and their belief in supporting local trade. So, when we redesigned their website we had a great head start in knowing the business’s values & needs. The brief was to build a website that was flexible and easily managed by a busy team, it had to be straight forward for them to create articles for the different events & activities at the farm. The site had to clearly inform their customers what was going on at the farm – and there is usually a lot going on there! The site is designed to allow articles to be posted dynamically onto different pages of the site through an easy to use CMS. 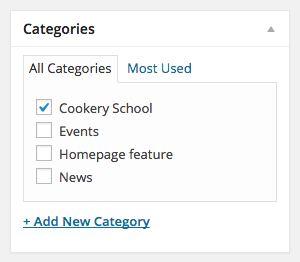 The process is the same for every article; once it’s created there are tick boxes to define if the article is a home page special, cookery school, upcoming event or regular news. 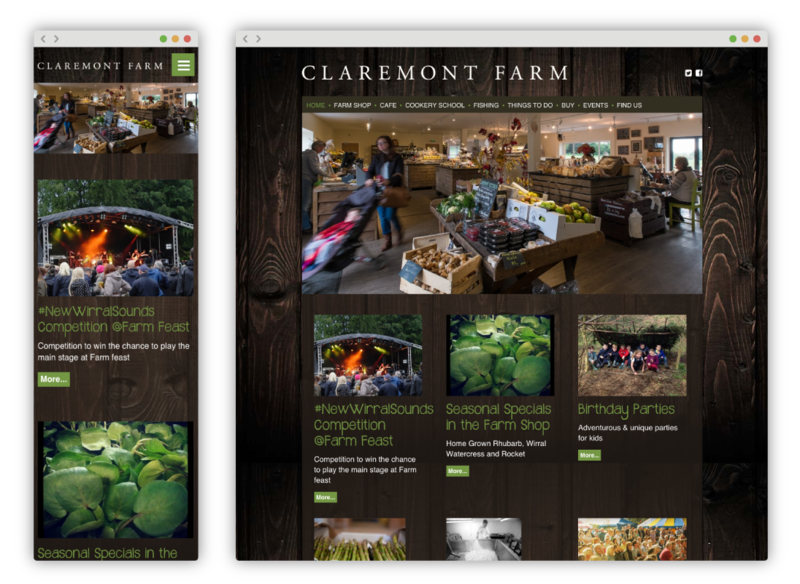 We designed the site collaboratively with Andrew, working out what their customers want from the Claremont Farm website. The analysis lead us to design a site with large, engaging article images on the home page that link through to key activities & events. Early indications show that the site is more engaging for & relevant to users. Without any paid advertising the new site has almost doubled the amount of visitors since it was re-launched with people spending more time on the site looking at more pages. Best customer service in the NW (possibly world), unique ideas that make a real difference and impeccable taste in clients!